To know the companies that offer the best WordPress hosting in Kenya, it is imperative to look at the value that they provide their clients. You can determine a great host using various components; performance, reliability of support, speed, and pricing. Mambo Microsystems Ltd is the leader when it comes to affordable and reliable WordPress hosting solutions. Because it is not easy to know which hosts are the best due to biased reviews all over the web, I would recommend that you try our services and get the results yourself. Most people prefer our services because you get optimised performance, theme support, and importantly, great value. Other hosts will charge low prices for their services but sneak other hidden costs. Mambo Microsystems Ltd is the best WordPress hosting company in Kenya because we always keep our word. You can be sure that we will neither charge you more nor put ads on your site unless there is an agreement between both parties. 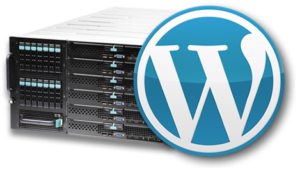 If you are looking for WordPress hosting services that guarantee your safety and uptime, we are your best option. We have automated daily backups and a one-click recovery support to ensure your website is fast and reliable. It means that with Mambo Microsystems Ltd, you don’t have to worry about losing your critical applications in case anything happens. Since I signed up with Mambo Microsystems Ltd, I have never had any serious issues with their WordPress hosting, except the ones that I caused like deleting a database. It is amazing how their technical team handle such issues with speed and ease. They are superb. Keep it up!